True country music is rare in modern independent music. Crossover country is much more common; there’s psychobilly and cow-punk, of course, and those pseudo-bluegrass and twangy rock bands that stand with the tips of their mustaches in the mainstream—and that doesn’t even include so-called alt-country. Less common is real country—the solitary sort, heartbroken, kicking around in dirty boots. So it’s a little unusual that New Rose’s stripped down brand of country has been embraced by the wider indie world. Then again, New Rose is an unusual country band. For one, the band includes members of Big Eyes and RIPS, proper indie rock acts that could hardly claim Flying Burrito Brothers as an influence. And they recorded their debut with Rusty Santos, better known for producing albums by Animal Collective, Panda Bear, and Ariel Pink. The resulting record, "All Nite", is being released by Broken Circles, a label better known for releasing rock albums that juxtapose obtuse pop sensibilities with leaden atmospheres. And maybe most notably, the record contains 3 original tracks featuring the legendary JayDee Maness on pedal steel, best known for his emotive leads on Eric Clapton’s “Tears in Heaven,” Gram Parson’s “The International Submarine Band,” and The Byrd’s “Sweetheart Of The Rodeo,” which is widely considered to be the first country-rock album recorded. It also included “She Knew She Was Falling In Love” which is a reinterpreted song originally written by David Johansen for his 1979 solo album "In Style." It features Neil Flanz, from Gram Parsons' Fallen Angels tour on the pedal steel. On first listen, All Nite is not the unconventional indie rock record you might expect it to be. Songs like “Should've Been a Wedding” and “Pearl Buttons” are simple ballads, dusty waltzes in an ill-lit, ill-kempt billiard halls; dry 3/4 drumbeats and shuffling cowboy chords lead these songs while the spotlight swings between singer Daniel Wager’s unadorned melody and Maness’s slinky solos. Others explore other country-western landscapes; “Country Noise” possesses the anxious excitement of leaving for the big city. Subsequent listens, though, reveal something more subtle—a complexity in simplicity, a satisfaction in sadness, those same obtuse pop sensibilities and leaden atmospheres for which Broken Circles is known. 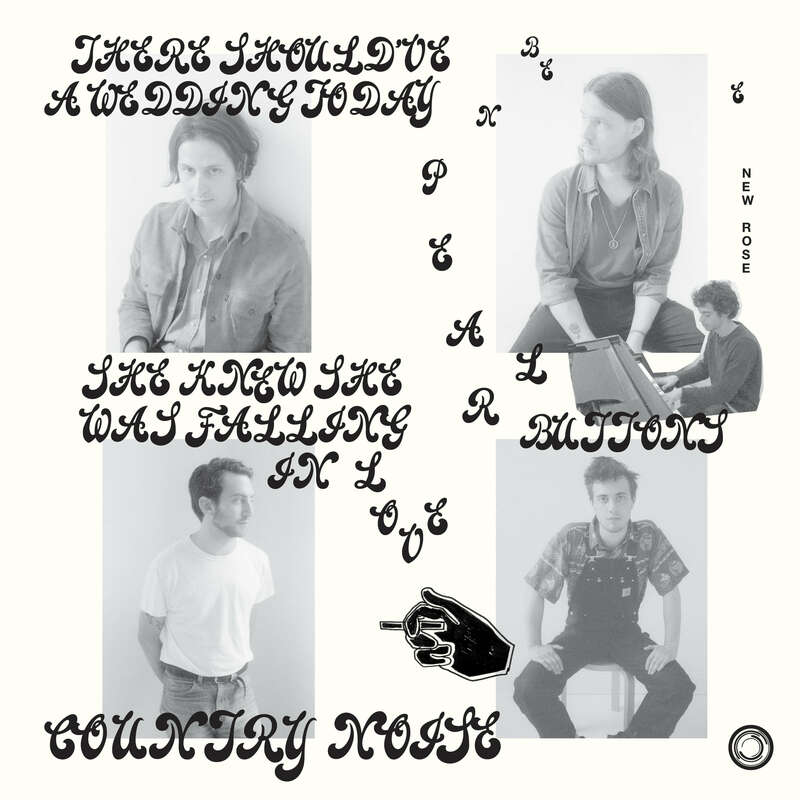 In some ways, "All Nite" is the antithesis of indie rock, but it is also the antithesis of country—both the big-hatted, boot-stomping pop of today and the sequin-studded sideburns of yesterday. And, yet, New Rose somehow epitomizes both, perhaps by employing one of the few similarities they share: Honest, simple songwriting.